2011 AMD worldchampion Tavax engineering from Japan. An amazing piece of art, this aluminum hi-tech-bio-android-neuromancer-cyberpunk beast on wheels. Sci Fi design which reminds me of series as Star Trek and Battlestar Galactica. 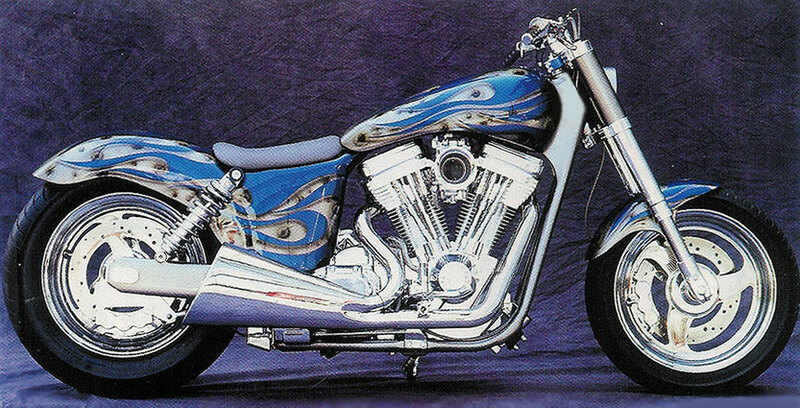 In the mid nineties Jesse James made furore with some freshdesign ideas. 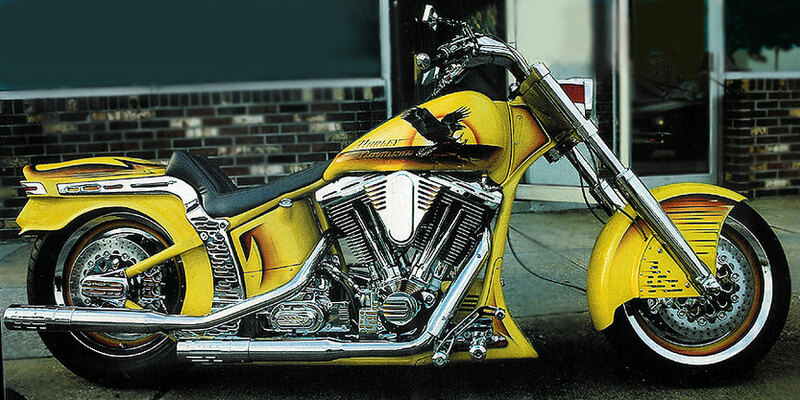 El Diablo with its oval/ wing formed frame tubing was one of them. 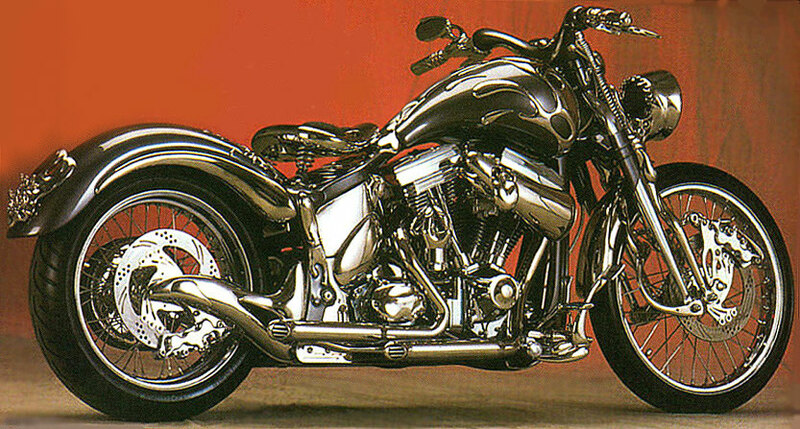 Wyatt Fuller was contracted in 1994 as designer for Harley Davidson, but before that he succesfully ran his own shop called Razorback where he built bikes like this. Mike ruled the USA showcircuit in the mid 90's. This is one of his best! Downtown HD's vision of a 21th century lowrider . 10 years ago H.O.T won every show with this bike. This year they returned to Daytona and still won second place at the Rat's Hole Show in the radical class. Which proves a good design to be timeless. Proportions that made me reminiscent of a Mattel Hotwheels toy, a paintjob of pimples with hairs growing out and a big fat "Boomcan" exhaust system . Yep, Russ Tom of Down Town HD Seattle was definitely walking to the beat of a different drummer. Sadly he died much to early (aged 46) in a helicopter accident in 2005.